This loveseat has a traditional elegance that cannot be ignored. 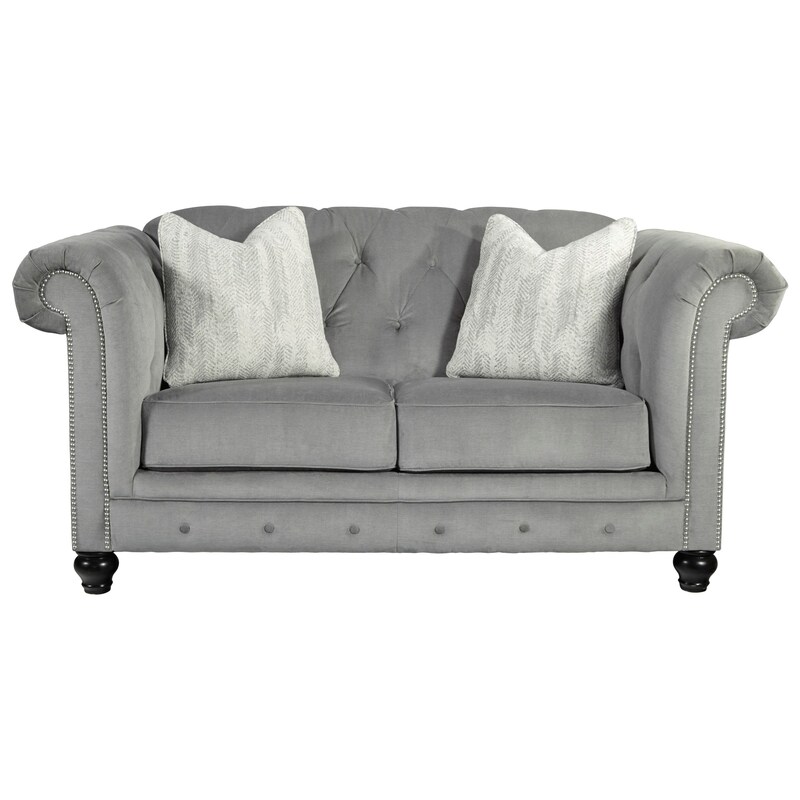 Details include rolled arms, nail head trim, decorative brads and a tufted seat back. Pair this piece with its matching sofa and one of the accent chairs to create an elegant and luxurious look in your room. The Tiarella Loveseat with Luxurious Look by Benchcraft at Miskelly Furniture in the Jackson, Pearl, Madison, Ridgeland, Flowood Mississippi area. Product availability may vary. Contact us for the most current availability on this product.